Let the traditional bamboo styled Rum Cay collection by Panama Jack give you that feeling of escape and relation. Uniquely and beautifully designed, the Rum Cay stackable barstool has been made with the most durable aluminum and branded fiber in the market today. Rum Cay incorporates extruded aluminum into a bamboo style shape frame with a high quality Viro branded fiber in an antique brown finish. 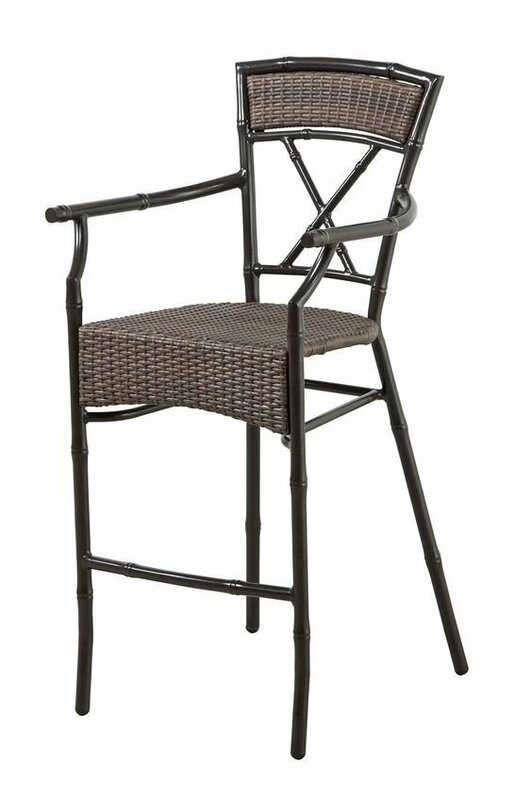 Rust resistant, this chair is made to withstand extreme weather climate conditions. Optional cushion available in a 100% polyester fabric or choose any of our Sunbrella fabric options and give this collection your personal touch.